Keisha had been holding her breath and finally let it out. How many times had they all escaped death by so close a margin? This whole adventure was one cliffhanger after another. She hoped this wasn’t what their every day life was like, but then how could it be? “Terrific.” They needed to use the snorkel to replenish their air supply until whatever weird machinery on the sub that made it could be fixed, but the intake valve would be visible on the surface of the water come daylight. She let herself sag into the Captain’s seat at the helm and tried to think of a way around the problem, but her brain had turned into a mix of steel wool and cotton candy. She hadn’t slept in over a day and she could barely keep her eyes open. “Still checking. No sign of our unwelcome visitor.” Isaiah sounded unreasonably calm. If it had been her, she didn’t know if she could keep working with a fifteen-foot-long predator hiding in the water nearby. Keisha jumped when Isaiah’s voice crackled out of the speakers again. She’d fallen asleep while he was out there risking death to save them all. She pushed herself heavily out of the chair. If she stood up and walked around, it should help. Josiah looked half-dead on his feet. They could all use some rest, but if they couldn’t get fresh air down into this tin can, they would rest forever. Relief had given the little boy wings and he raced across the control room and out the rear hatch. Isaiah had left his mike open and she could hear his labored breathing as he struggled under the suit’s weight and bulk. He was groaning as he tried to free it, the thick tubing rubbing back and forth against the metal making a grating sound. “Pa, behind you.” Keisha could hear Josiah yelling from down the passageway, but there was no sound system near the airlock. “Isaiah. Turn around. Hurry.” Keisha was gripping the microphone hard enough to make her fingers ache. “If I can…” His voice trailed off. Then she heard the nine year old scream, “No, Pa!” Over the speaker, she heard a sudden explosion of water and air. Isaiah coughed and choked. She dropped the mike and dashed out the open hatch to the rear and down the narrow passageway, then made a sharp left. Pressing her face against the glass next to Josiah, she saw that Isaiah had cut his air hose to free it from the door latch. The shark’s head loomed large as he frantically worked the control wheel to close the outer door. The sub lurched as the sea predator struck the hull trying to reach her prey, but the aperture was now large enough only to admit her snout. The shark couldn’t get to Isaiah anymore, but he was drowning. The Great White moved back and Isaiah laboriously completed the final two spins of the wheel that sealed the outer airlock. Josiah started turning the large valve wheel to empty the enclosure, and Keisha grabbed on and added her strength to his. Isaiah had collapsed on the floor. The chamber would remain sealed until the majority of the water was pumped out. Desperate seconds passed until finally they unlatched the inner door, and the now unconscious diver spilled inside along with streams of muddy water. The attachments were simple, metal latches, and they managed to release them. Then with a twist, the helmet came free. Isaiah coughed, rolled to one side and vomited, then sharply inhaled. He laid there panting for over a minute until his breathing became steady. “Thank you.” He still sounded like he was having a tough time catching his breath. They both helped him sit up and started the awkward process of removing the diving suit. “Yes, Pa.” He stood, looked at Keisha with trusting eyes, and left. “I’ll get you out of this thing.” She had watched Isaiah put on the rig, so she had a good idea how to peel it down a layer at a time. When she got the breastplate off, he could take deeper breaths. By the time he was stripped to his undershirt and trousers, Keisha heard fans running and smelled fresh air from the vents. “Blankets. Behind the other suit. Cabinet.” He was trembling, even though it felt sweltering in the sub. She navigated past the spare suit hanging by chains from the ceiling to the storage cabinet, and found a couple of rough, woolen blankets marked “U.S. Army.” She grabbed them both and then put them around Isaiah. Between the two of them, they managed to get Isaiah to his feet and supported him as he staggered forward. By now, they’d crossed the control cabin and had gone forward. There were crew cabins to the left and right with two bunks per cabin. Isaiah’s was on the left, presumably to be shared with Eralia. Keisha pushed the thought back out of her mind. She had too many other problems to worry about right now. She turned her back for the sake of his modesty and her embarrassment, but why hadn’t he told her to leave the room. He was right. What she was wearing now was soaked, torn, oil stained, dirty, and disgusting. She just hoped she could find something that not only would fit her, but that she could figure out how to put on. What do you do with a corset anyway? She felt pride through the haze of exhaustion. This was the second time she heard him speak in her Grandpa’s voice. “Ma’am. Good night, Pa.” The boy leaned over to hug his Dad while Keisha waited at the passageway. Those two still had each other, but everyone who she loved was either dead or in another universe. She hoped no one was listening, because the overloaded compressor screamed like the proverbial scalded cat, with steam heating the room like a sauna, and oil splattering on her lost cause of a blouse. It only lasted forty-eight minutes of the planned hour, and then it’s gears seized up, but in that time, it had managed to transfer ninety-eight percent of the expected air into the tank. Keisha adjusted the output to allow a steady stream for breathing, which would be good enough as long as they didn’t do a lot of moving around. Back in the control room, she nodded and Josiah began the retraction process for the snorkel. He hadn’t raised the alarm, so apparently no one on the surface saw the snorkel’s valve, or if they did, they mistook it for some piece of garbage or a random bit of seaweed. Not feeling like doing a lot of “shopping” at that moment, she selected what she thought were two or three outfits which she’d worry about after she got a nap. Taking them to the berth across the passageway, she tossed them on the lower bunk and then trudged back to Josiah. She felt like she should hug him again, but he didn’t seem to be thinking the same thing. They were both loopy anyway and needed some sleep. She could hear his footfalls receding forward and then stop as he entered his Dad’s sleeping berth. Keisha listened to the distant and irregular sounds of what she supposed was various types of craft on the surface. It was after nine in the morning, whatever day of the week it was, and anything from ferries to fishing boats could be plying their trade over their heads. She wondered where that damn shark was. Just after eleven, she woke up with a start. Some guard she made. She’d fallen asleep. Listening, she didn’t notice anything unusual coming from the speakers. She knew submersibles were rare in this world, but she didn’t know about archaic diving suits. They were just under nine meters deep or about twenty-eight to thirty feet underwater. It’s not very far, but fortunately the Bay waters were murky, so even a boat directly overhead wouldn’t be able to see her. Without her engines running, she’d be impossible to hear. They should be pretty safe from detection, but they couldn’t stay here forever. Keisha still had another couple of hours before she woke up Josiah. She couldn’t afford to fall asleep again, so she stood up and started pacing. Her “power nap” helped, but she’d fall out again if she didn’t keep moving. Maybe she should hook up that spare pump Josiah had talked about so it would be ready when night came. Trouble is, she didn’t know where it was stowed, and tinkering in the machine shop would take her too far from the speakers. She just wanted all of this to be over. Why had she gone along with Grandpa’s crazy plans to launch the Graceful Delight when she knew it would take her on some bizarre trip? Just past noon, she heard it for the first time. It was a noise coming from the aft compartments, maybe the airlock. She turned toward the forward hatch. If she could wake up Isaiah. Where were his pistols? He’d taken them off when he got into the diving suit. Were they in the airlock room? She couldn’t remember. It was too hard to think. “Clank! Clank! Clank!” Weighted boots on metal deck plates. He was right outside the rear hatch to the control room. How did he get on board? You can only open the outer doors from inside. A shadow fell across the floor. It was shaped like a man, but huge and distorted, like a primitive hominid, a bestial ancestor bent on mayhem and destruction. There had already been so much pain and death. Why did it have to happen again? She backed away, feeling for the forward hatch. Yes, it was there, but it was closed. When did that happen? 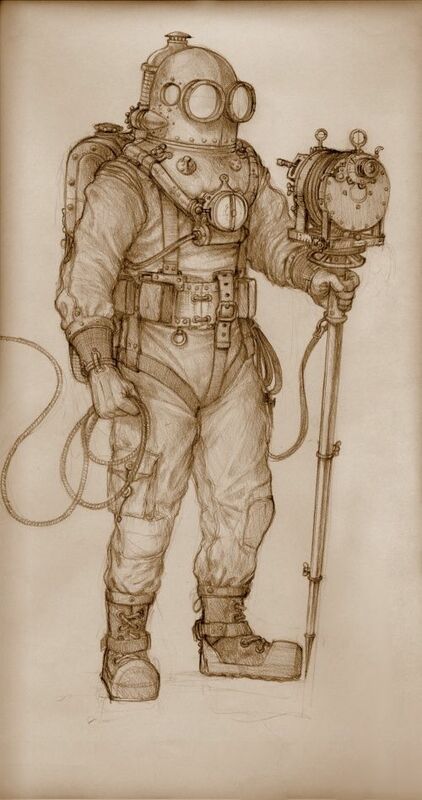 She couldn’t bear to turn away from the man in the diving suit as he advanced on her, but if she didn’t, she’d never get the hatch open so she could warn Isaiah and Josiah. They were depending on her. She couldn’t let them down. He was halfway across the control room. He’d reach her in seconds. Keisha forced herself to turn, grab the wheel to open the hatch, but it was jammed. It wouldn’t budge. A thick canvas glove settled on her right shoulder and she screamed. He was too strong. His arms were around her. He couldn’t get out of his grip. She managed to twist around so she was facing the helmet, her anguished face doubly reflected in each lens. He was squeezing her. She couldn’t breathe. She was going to die here and it was so senseless. When she was nine years old, she was bicycling with her Grandpa on Old Mill Road. They headed into a curve, and she put on her brakes to slow down. The front brakes locked and she was thrown over her handlebars. She started to skid down the side of the hill but caught onto a branch. It must have been a hundred foot drop to the bottom. She had nightmares for months afterward. Grandpa said she’d been hanging on only a second or two before he grabbed her arm and pulled her back up, but it felt like an eternity. Only this time, he wasn’t going to make it. Keisha saw his face looming over hers, but he was too slow. She couldn’t hold on anymore. Keisha had to let go. The last thing she saw were his kind and gentle brown eyes looking down at her as she dropped to her death. 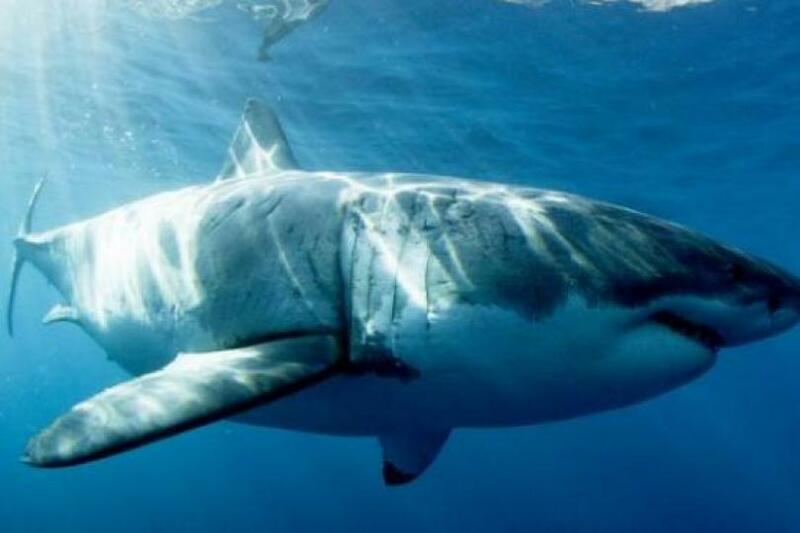 Miraculously, Isaiah was saved from a shark attack twice, and while he got the snorkel operating, he nearly drowned before he could return to the sub’s interior. Now, when all seems like it should be peaceful, a new danger faces young Keisha. But who is her attacker and how will she survive a menace that she last faced six years prior? The next chapter is Prelude to Piracy. I hope you’re going to develop this as a full book James. A great storyline and good characters. Actually, that’s crossed my mind, but I’m concerned that the Christianity of the Covington family might put off a lot of people and publishers. Enjoyed so far. I’m still impressed by the quotes. How many did you start with? Were they arranged ahead of time? Finding them as you go? Are they even true? I haven’t looked them up. Actually, after I finish each chapter, I go online and look up “Grandpa quotes,” then I choose something that seems appropriate. Not a lot of forethought, actually.